Our Trestle style Mission bench is offered in four different sizes, five different wood types, a solid seat or extension style as well as a wide variety of stain and finish options. Call one of our helpful sales associates at 1-866-272-6773 with questions, ordering assistance or to receive finish samples in the mail. If you order the two or more leaves as an option then a storage container is included with your order. This leaf storage container is made from solid oak wood and will be stained to match the bench. 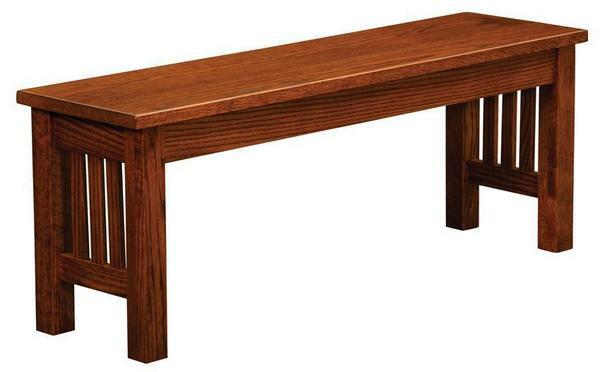 These Mission style benches are perfect for around your dining room table, in an entryway or reception.